Over the past decade Aulcorp Food Marketers Inc. has developed trusted partnerships with our EU-Mediterranean facilities. 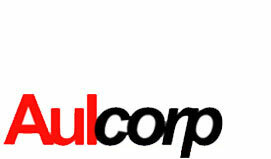 Aulcorp began with a vision to deliver value-added PL programs to North American customers. Our first PL program was introduced to marketplace through the launch of an authentic, Italian PL risotto side dish. Our existing side dish program includes an array of products which offer time starved consumers convenient, quick ready meals with unique flavor profiles. Our objective is to offer consumers an authentic, premium, Mediterranean experience through various product categories. Our continuous pursuit of "trend right" products takes us on many travels which translates into our customers unique private label programs. Our success has been attributed to a strict sourcing mandate of the finest raw materials for our customers specific product formulations. Aulcorp has become a trusted source for premium Italian foods with retailers across North America. Companies can rely on Aulcorp to execute the requirements of their PL programs.